In an act of heroism, he moved out into the open to radio for help to save his men all while being surrounded by more then 50 Taliban fighters. 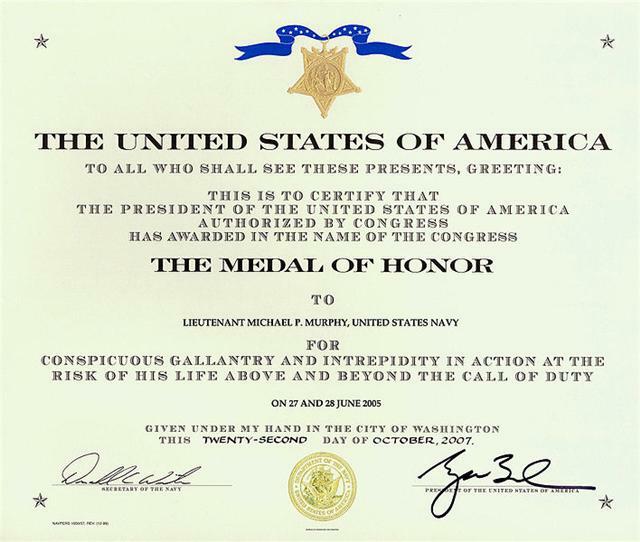 After being wounded more then three time by enemy gun fire, Lt. Michael Murphy made the call and then rejoined his men. He died shortly after that. 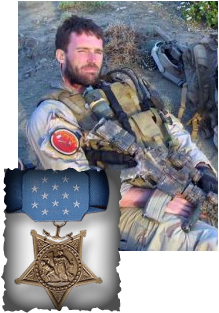 Two years later he was finally awarded the "Medal OF Honor"